The Law and Management Resource Center has been teaching clients to replace the typical single annual review system of performance management with a system of real performance management for years. With a number of large corporations having recently reported the elimination of annual performance evaluations, substantial press has been generated about the efficacy of the standard process. Performance management consisting of a single annual evaluation frequently fails to accurately assess year-long performance by reflecting mostly, if not only, on recent concerns or successes. Annual performance reviews are often perceived by employees to be centered on criticism. As a result, they can fail to foster employee and employer growth and instead lead to poor morale and animosity, and they sometimes lead to employee claims against supervisors for unfair treatment. Without an accurate and well-documented record of year-long performance, supervisors are often unable to provide sufficient evidence to defend against these claims. Recent studies have revealed that more than 9 out of 10 supervisors are not satisfied with the annual performance review system currently used in their workplaces. Almost the same numbers of Human Resource professionals contend that the systems used in their workplaces fail to yield accurate assessments. Without a feasible alternative, many workplaces continue to use processes that are considered overly time-consuming, cumbersome, ineffective, de-motivating, unsettling sources of distrust and contention between supervisors and their employees, and vessels that can invite claims of discrimination and retaliation. As a result, the process often doesn’t happen on time, if it at all. While being one of the most important aspects of every supervisor’s job, performance management becomes one of the most overlooked aspects of management. Employers are seeking a smart alternative and we’ve got one. We believe performance management should be a process that supports positive employee development and productivity through steady employee participation. Objectives should be directed at the accomplishment of goals which are tied directly to each employee’s job function and growth, and the goals of the organization as a whole. Our system creates a sensible, efficient, and straightforward process that advances trust and promotes a positive work environment. The process for each individual takes only minutes, so it doesn’t detract from time for doing business. Our system also helps eliminate opportunities for employee claims of retaliation by supervisors – a welcome relief for supervisors. Let us help your business develop a real performance management system that you can trust to produce positive supervisor and employee feedback, immediate benefits, and measurable value. Getting started is affordable and easy. We help introduce the program, provide customized easy-to-use forms, and train supervisors and employees on their roles in the process. Contact us today at (858) 753-1775 or contact me at jillian@lmrcenter.com. You’ll be glad you did – and so will everyone at your business or organization. This entry was posted in business management, business management consultation san diego, business management roundtable San Diego, employment law consultation san diego, employment law san diego, HR consultants San Diego, human resource, human resources, human resources consultation san diego, human resources san diego, Performance management, performance management help, performance management review, performance management San Diego and tagged business management consultant San Diego, HR consultant San Diego, performance management, performance management help San Diego, performance management reviews San Diego, performance management san diego on August 19, 2015 by Law & Management Resource Center. Keep Your Pot of Gold – Special St. Patrick’s Day Discount Offer! One Year for a Flat Fee of Only $1,500 with NO Additional Costs! The Law & Management Resource Center wants to bring more than luck your way but there’s only 3 days left! As Director, Business and Program Development, I have selected your business to receive this special offer through which your business can join other businesses that are already taking advantage of our services at an especially low annual rate. Receive a full year of unlimited access to our employment law, human resource, and business management consulting helpline for an annual fee of only $1,500 for any size business! Connect with our staff of experienced employment law, human resource, and MBA consultants for answers to your questions and strategic advice on employment law, human resources, and business management matters. Yes, with this plan, which costs only $125/month, clients can contact our attorneys as often as they need to – with no hourly fees and no time limits for advice. In addition to our employment law, human resources, and business management consulting helpline, we offer other services, including as harassment prevention training, review and drafting of employee handbooks and other employment and business related documents, leadership skills coaching, effective management strategies, presentation skills coaching, and much more. This offer for potential new clients will expire on Friday, March 20th, so don’t delay! For complete details, email or call us at (858) 753-1775 today! This entry was posted in business management, business management consultation san diego, business management roundtable San Diego, business management san diego discount, employment law, employment law consultation san diego, employment law san diego, human resource, human resources consultation san diego, human resources san diego, human resources san diego discount, new employment laws and tagged business management, business management consultation, business management san diego, business management san diego discount, employment law, employment law consultation, employment law discount, employment law san diego, human resources, human resources consultation, human resources san diego on March 17, 2015 by Law & Management Resource Center. Keep Your Pot of Gold! Keep Your Pot of Gold – Special Discount Offer! 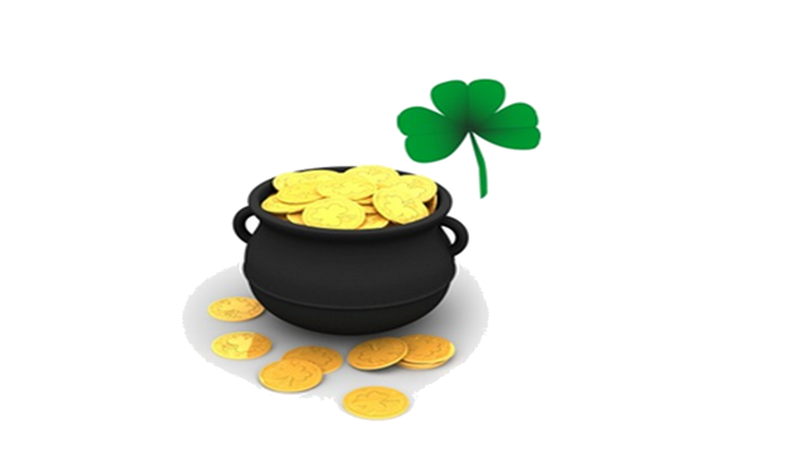 The Law & Management Resource Center wants to bring more than luck your way. This entry was posted in business management, business management roundtable San Diego, business management san diego discount, employment law, employment law san diego, employment law san diego discount, human resource, human resources san diego, human resources san diego discount and tagged business management, business management san diego, business management san diego discount, employment law, employment law san diego, employment law san diego discount, human resource san diego discount, human resources, human resources san diego on March 5, 2015 by Law & Management Resource Center. Your Law and Management Resource Center January 2015 Newsletter is now available! Click here to view: Newsletter_LMRC_01_2015_. Information on your new 2015 training requirements – supervisor training. Please feel free to share it with others who may be interested! This entry was posted in business law, business management, business management roundtable San Diego, Employee Handbooks, employee taxes, employment law, harassment prevention training 2015, human resource, human resources, human resources roundtable San Diego, Law & Management Resource Center, new employment laws, new taxes, online harassment prevention training, online sexual harassment prevention training, online training, Presentation Skills, presentation skills coaching San Diego, public speaking san diego, san diego harassment prevention training, sexual harassment prevention training, Workplace Laws and tagged 2015 training requirements, business management san diego, employee handbook san diego, employment law san diego, human resources san diego, new wage theft protection act notice, performance management san diego, supervisor training san diego on January 20, 2015 by Law & Management Resource Center. The Law & Management Resource Center’s networking and informational roundtables are a way for individuals and businesses to make valuable connections, receive helpful tips, information, and news, and be invited to special presentations by reputable industry professionals. 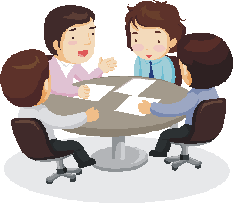 Our three roundtables are Human Resources, Business Management, and Presentation Skills. Meetings will begin in the beginning of 2015 visit the Contact page on our website and let us know you’re interested today! This entry was posted in business management, business management roundtable San Diego, human resources, human resources roundtable San Diego, Presentation Skills, presentation skills coaching San Diego and tagged business management, business management san diego, confident speaking, human resources, human resources san diego, manager training, market your business, performance management, presentation skills, presentation skills san diego on November 13, 2014 by Law & Management Resource Center.